It would be easy to think that Patrick Henry was speaking about the Revolution in the quote above. The man who is credited with the words “Give me Liberty or give me Death” certainly can be recognized with doing his utmost to preserve Liberty in that struggle. But the opening quote was not uttered during or about the war for Independence. It was made in 1788 AGAINST the ratification of the Constitution. Henry feared that the broad federal powers laid out in the Constitution limited the civil liberties of individuals - many of which we take for granted today. Henry wanted more power given to individual states, and the civil liberties of individual citizens protected. He feared that as time went by the government would cease in its duty of defending our liberties, seeking only to continue and expand its own power and wealth. Such a government he feared would become a danger to the Republic. Henry and the other Founders had fought almost eight years for independence from a powerful government that denied their rights, and in his eyes this new Constitution was setting up a new powerful government capable of doing the same. James Madison, who was one of the great writers and supporters of the new Constitution, attempted to persuade the Anti-Federalist. Henry was unconvinced, but he was a wise man and a smart debater. He and the other Anti-Federalists could see that they were losing the fight against ratification and began pushing for a Bill Of Rights that, while not perfecting the Constitution, would at least improve it. 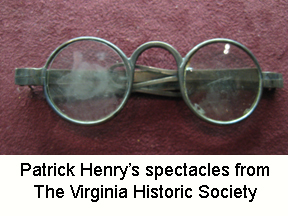 Some thought a new Revolution would rise up against the ratification of the Constitution and that Henry would be a leading figure. He put those fears to rest in his last address at the Virginia ratification convention. 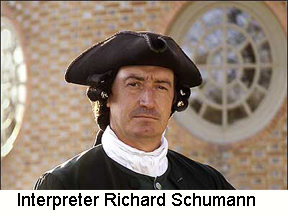 He would remain, in the words of Richard Schumann, who portrays Patrick Henry in Williamsburg Virginia, “America’s most nervous citizen for four years,” until the bill of rights became law in 1791. 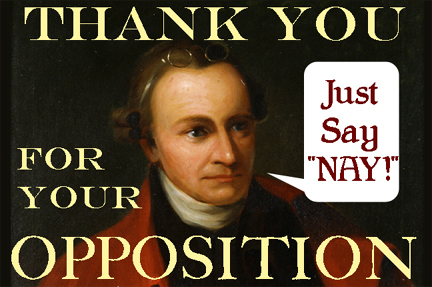 The debt of thanks we owe to Henry and the other Anti-Federalists goes beyond the support they gave to the Revolution. It extends to the opposition they gave to the Constitution.